What Are Current Web Development Technologies? Web development refers to the development of websites and web applications either to be hosted for the internet or within an intranet. The web development process includes website design, client and server-side scripting, and content development. Web development trends are changing rapidly over time. This technological evolution is driven by the adoption of internet-based models in diverse businesses with the aim of leveraging the internet in their advertising, marketing, and overall product or service delivery to customers. We have an ever-growing list of tools and web technologies online today which were designed to aid developers in building better, more interactive and dynamic websites. Therefore, programmers have to remain updated with in-demand web development technologies to stay relevant. Angular JS was built on the CRUD concept (Create, Read, Update, and Delete), the same concept used by the majority of web applications today. The framework also implements a Model-View-Controller (MVC) design pattern, features like data binding and dependency injection helps reduce the code Angular developers need to write. It also helps eliminate the need to register callbacks, manipulate HTML DOM programmatically, and sending data to and from the UI. Its built-in dependency injection subsystem handles dependencies effectively and a designated testing framework “Karma” helps in designing unit tests for Angular JS applications. Angular JS is an open source technology. It is supported by Google and a large community forum which keeps it updated. These and other features have brought Angular a position on the list of web frameworks. React was developed by Facebook and it enjoys massive support from its community. It’s brilliant component reusability, and separation of presentation/logical components has made the library a top choice for developers. Its unique rendering and DOM has earned React the best rendering performance across top frameworks. Major brands are migrating their web apps to react thus react is fast becoming a must-have in every developer’s stack. Node.js comes with just little correlations, rules, and guidelines. These help developers to have the freedom and creativity in running their applications. Developers can select the best architecture body, design tools, modules, and features for their product when getting all the privileges from the community through NPM. Django is the most popular Python web framework. It emphasizes reusability and of components, less code, low coupling, DRY principle, and the rapid development. Django was created with front-end developers in mind as a high-level Web framework that encourages rapid development and clean, pragmatic design. You can now focus on writing your app without necessarily having to reinvent the wheel. Like most modern web frameworks, it follows the model-view-template (MVT) architectural pattern making it easy to create complex, database-driven websites. Django is an open source framework maintained by the Django Software Foundation (DSF). Documentation is well above the usual standard for open-source projects, making Django best examples of open source documentation available. Django community is hugely supportive. Git is a distributed version control system for managing source code. It provides full-fledged remote and local repositories aimed at non-linear workflow while also guaranteeing data integrity. Git makes it possible for developers to carry a copy of their code with them while also maintaining a copy on the web that can be accessed from anywhere. With Git’s version control system, developers can easily revert and go back to an older version of the code. At times, several developers are working in parallel on a project. In this case, Git – a version control technology is of much use to ensure there are no code conflicts between engineers. 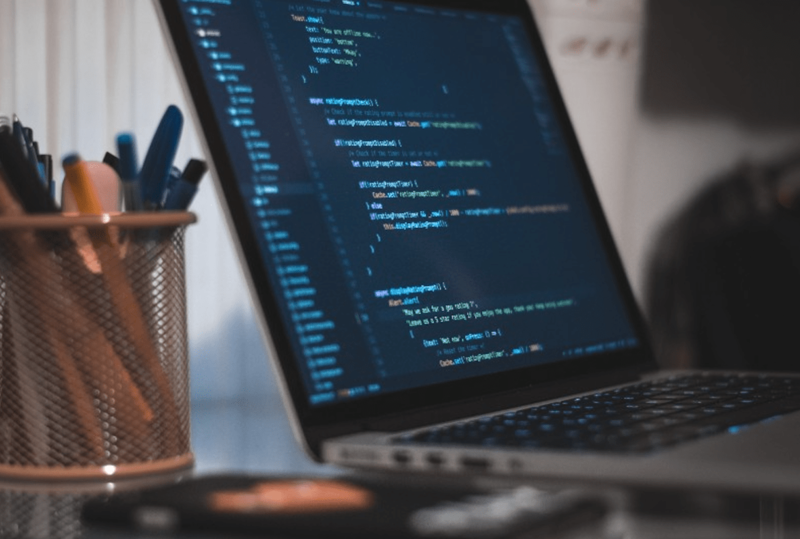 To become a more versatile web developer, machine learning and artificial intelligence is essential, especially on the backend. Machine learning algorithms build up a symbolic-form model of sample data – training data – to make some calculations or conclusions being not explicitly programmed to complete the task. Machine learning has become a buzzword in the tech industry due to recent groundbreaking inventions achieved using the technology. Cloud computing is generally speaking the computing power, data storage, apps, and other IT resources delivered on demand through a cloud services platform that takes on the role of an Internet communication line to provide faster innovation, flexible resources as well as economies of scale. One of the striking examples is Amazon Web Services offering content delivery, data storage, networking, and a lot of other services. It allows you to create new servers on which to run web applications very quickly, easily and cheaply. Most of the websites including major companies like and are moving to cloud computing, and AWS is becoming more relevant in recent times. Considering no specific technology is a perfect fit for all apps and app development needs, there is a growing demand for useful tools that can aid developers in making more sophisticated software to match the ever-increasing needs of businesses across the globe. Established web development companies like clockwise software are committed to identifying and leveraging such tools in developing viable solutions. More web development technologies are introduced daily, and the list of latest web development technologies is always evolving. Therefore, developers need to stay updated to maintain their edge on the market.